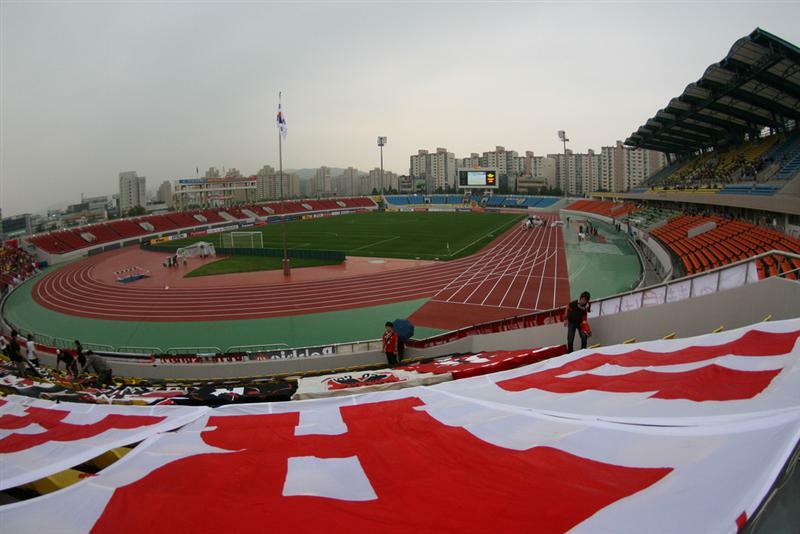 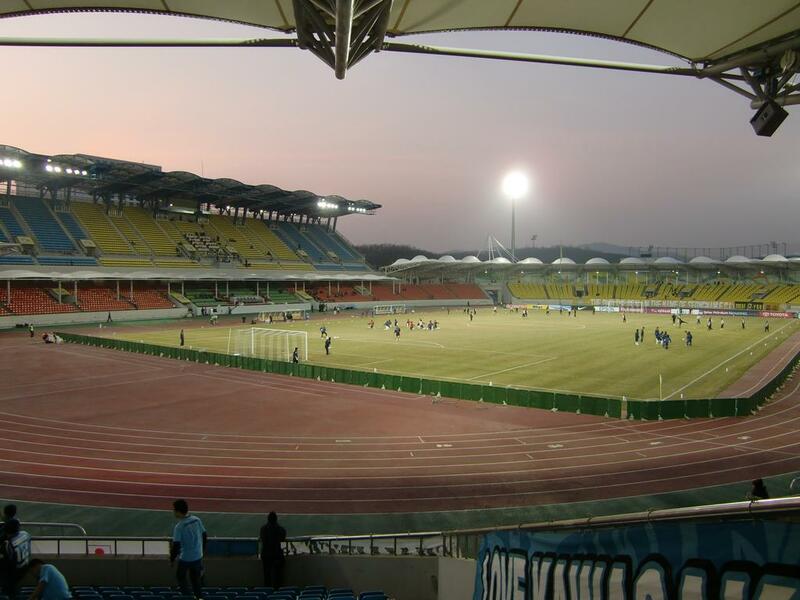 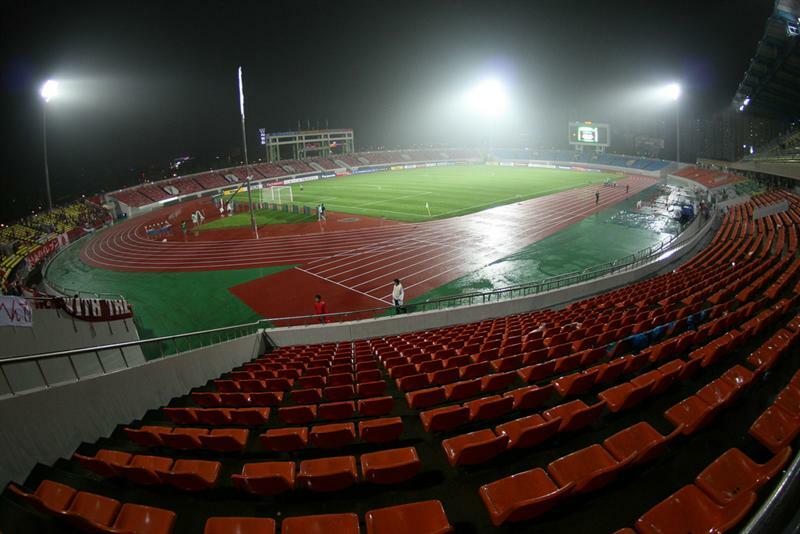 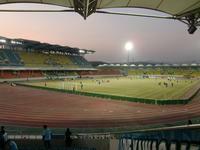 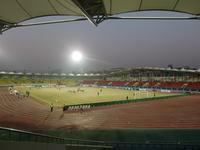 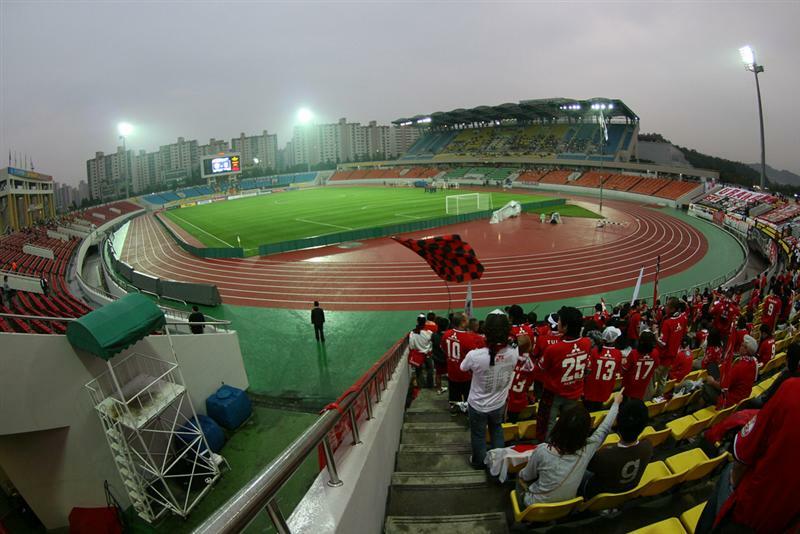 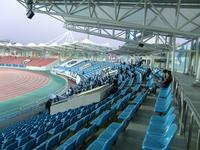 The most important multi-use stadium in Seongnam, city of 1 million inhabitants. 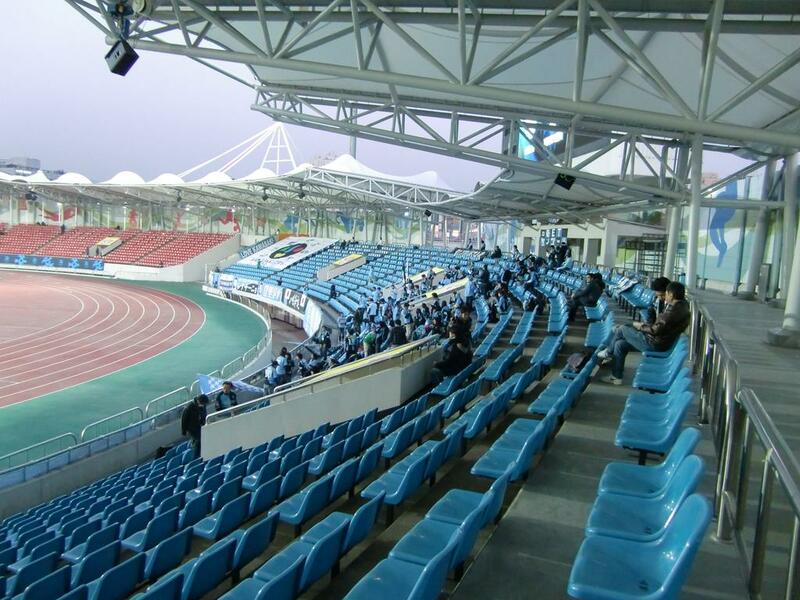 It’s the centerpiece of the city’s major sports complex with neighboring baseball stadium, indoor hall, natatorium, ice rink and several smaller venues. 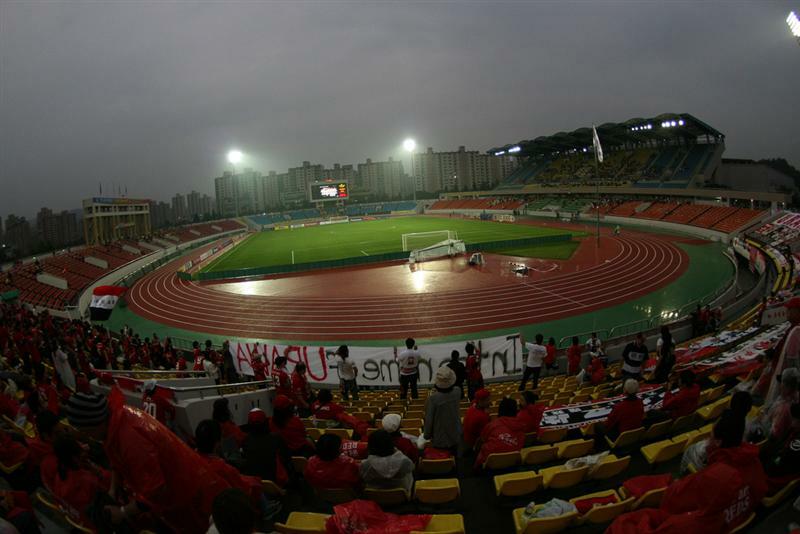 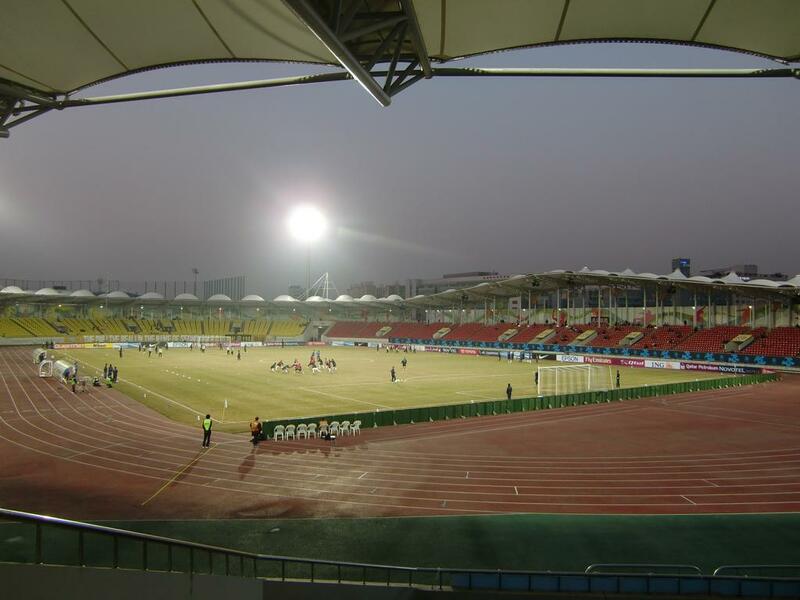 Construction took over 4 years, a long period if taken into account that the stadium is only a 16,000-seater (though crowds up to 20,000 are at times allowed). 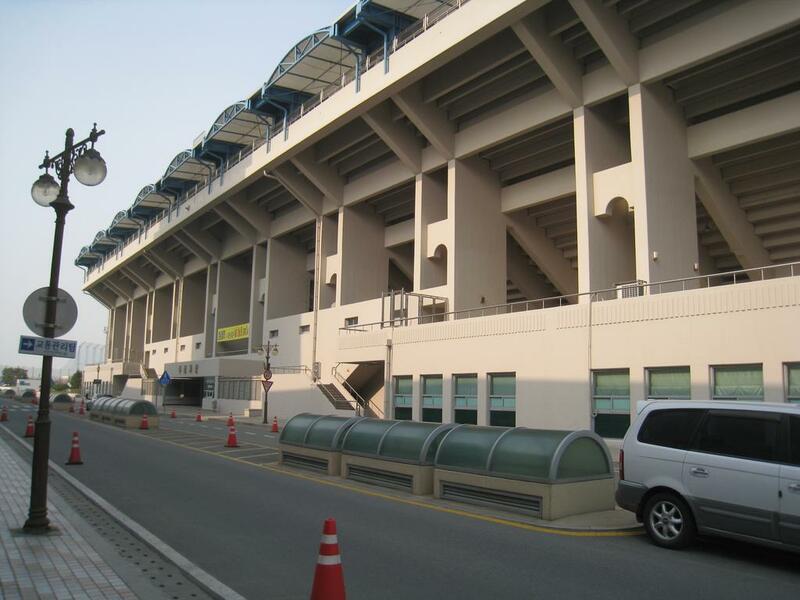 For the first 7 years only the main stand was covered, but in 2009 steel and membrane gave shelter to fans in other parts of the ground.